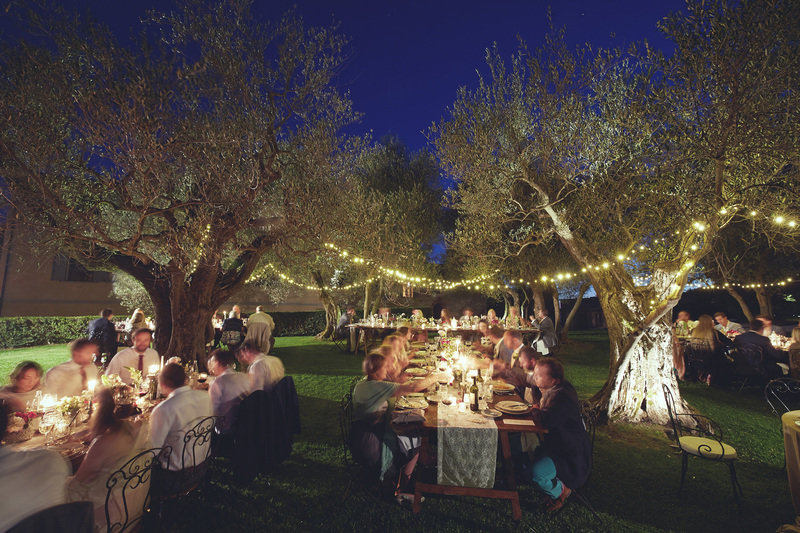 There are many details to think about when planning the scenery around the wedding reception; the colour theme, the flowers, the table design, the menus, the personalised wedding details, something traditional, something new, fun and different from other weddings…But there is one thing that should not be underestimated. THE ILLUMINATION. 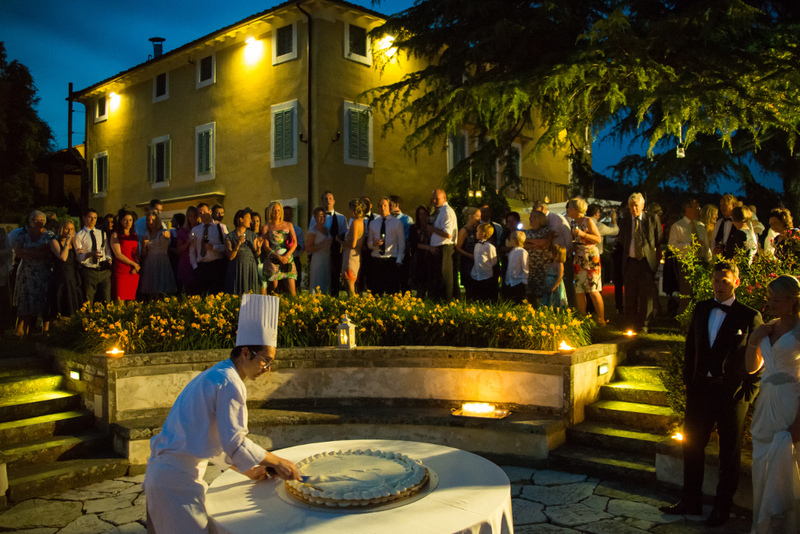 It gets dark towards halfway the dinner, and the evening is far from over yet! By creating the right illumination, you create a warm and cosy ambience, where people enjoy themselves, and where they want to stay longer. Read that again, dark is not a fun place to be! Sometimes the right illumination creates magic. 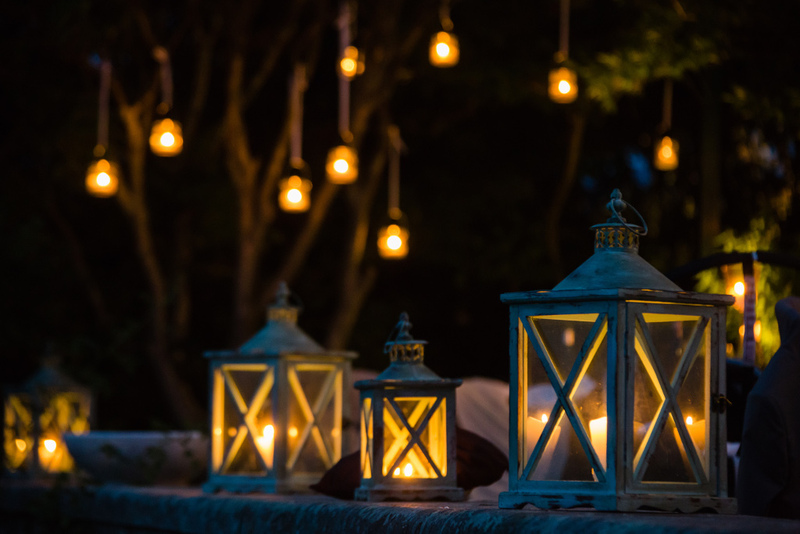 Let’s light up the night and focus on wedding illumination! 1. Illumination of the castle courtyard : Few uplight spots to illuminate the rustic castle walls. 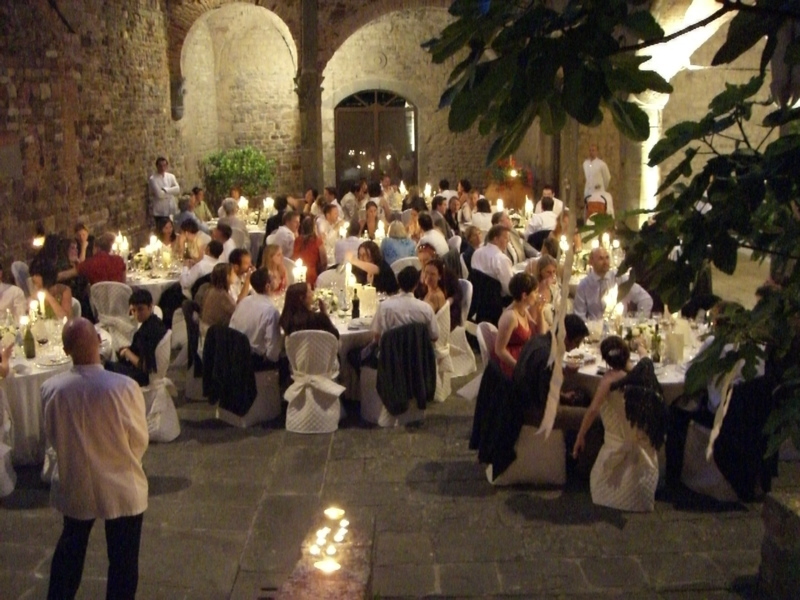 Lots of candles on tables, walls and stairways to light up the dark and massive surroundings. Medieval kind of magic! 2. Fairy lights. The classic of the outdoor wedding decor. Hanged up between trees. Simply magical. 3. Lanterns. Place them on the ground, on low walls and hang smaller ones up. Mix up small and large, different colours and styles. Country chic and cosy, where you definitely wish to hang out little longer. 4. Lanterns look nice on daytime too. Perfect for decorating the ’empty’ spaces, where you don’t know what else to put. Light up the candles in the evening, and what used to be a dark corner has become a lovely focal point. 5. Table decor with candles. 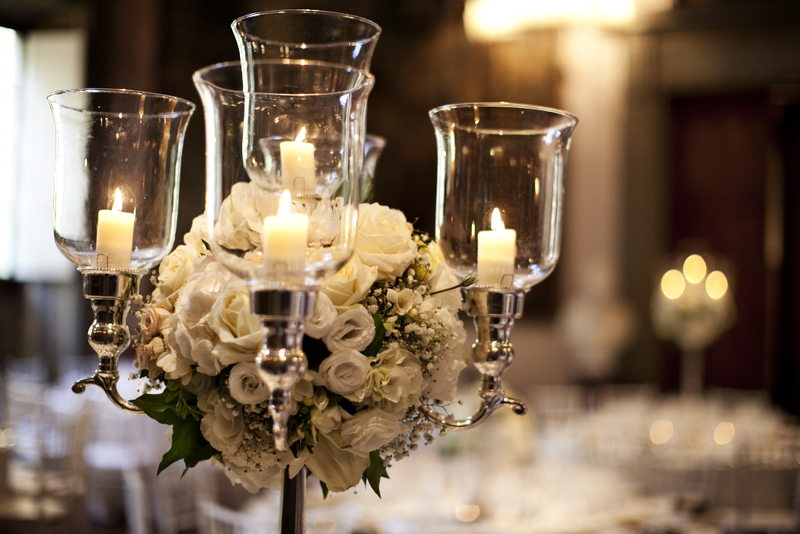 Mixing low and high candles makes elegant look effortless. 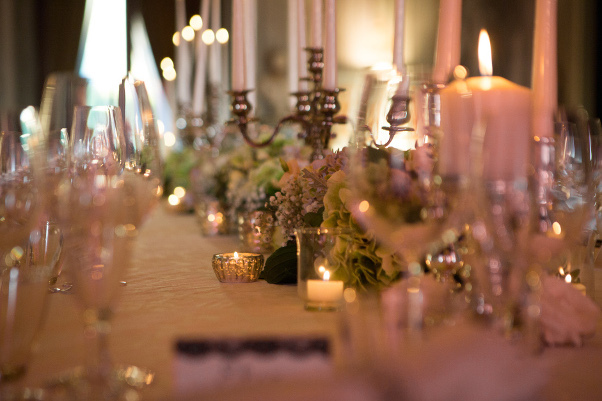 You simply can’t have too many candles and tea lights on tables. Much candle light is much better! 6. Chandeliers. 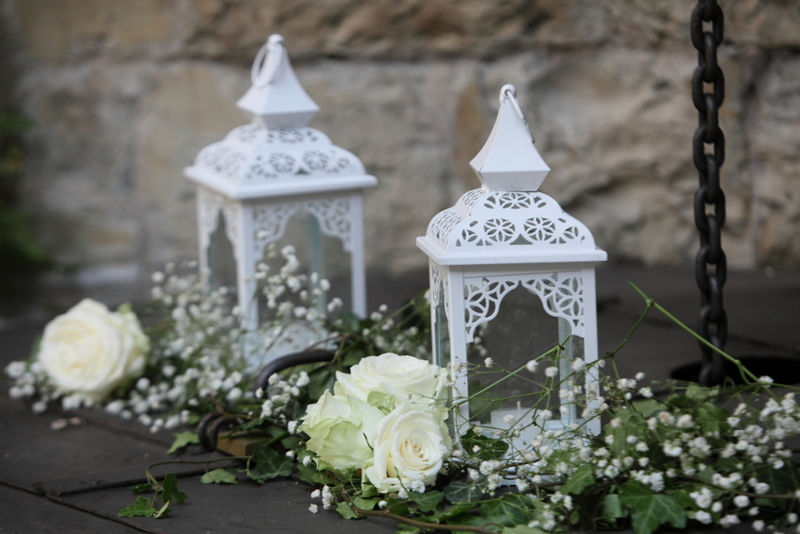 Protect the candles , have them always inside glass, otherwise they will be blown out or burn out double as fast if even slightly windy weather. Choose them high enough so you can see your table mates. 7. Working light. Illuminate the important happenings, would be a shame if people could not see what’s up! 8. 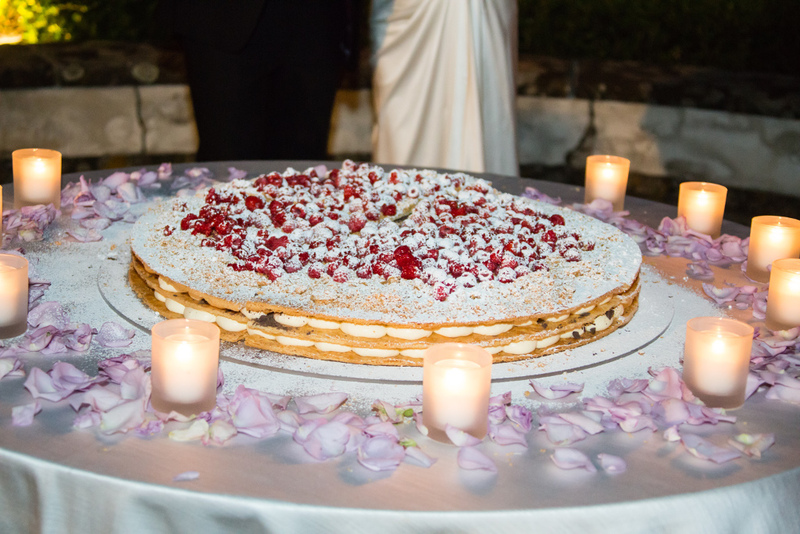 People are gonna take a whole lot pictures of that delicious wedding cake, let’s make it visible and pretty! 9. Boogey Night Lights. 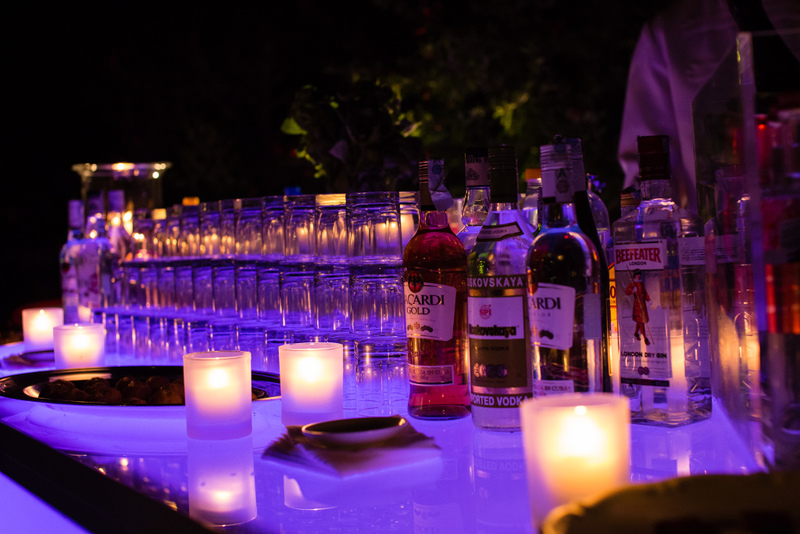 You can choose the colour of your illuminated evening bar. The lights are often battery driven, so you can place the bar where you wish! 10. 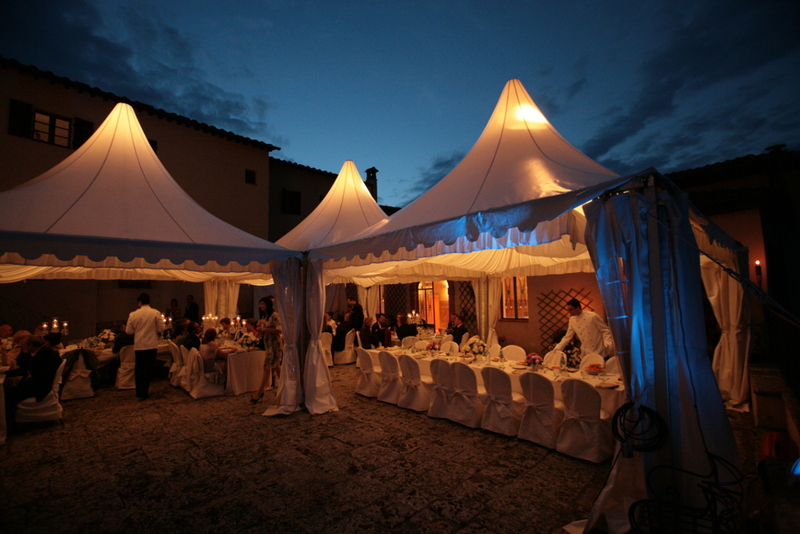 The wedding marquees can be illuminated inside and outside with clear or colourful lights. Light up the night! 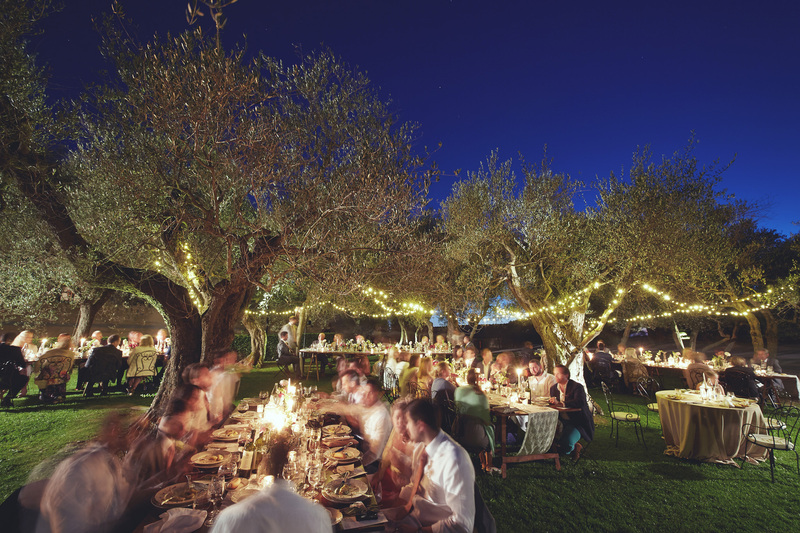 You will have a better party and much better pictures if you focus on the light!